I recommend reading the whole thing. The voices there include those who we will never get to try it out, some who used to shoot BE, and many who have some interest. Just know that there is some thread drift the last two pages. I read the whole thread, it was painful. You asked a bunch of people who don't shoot bullseye what it would take to get them to shoot a bullseye match, and the most common response was (to paraphrase), "Change it to something that isn't bullseye." No offense, but no thanks. make it so a 2700 doesn't take all day long. If there were electronic targets, this would shorten the match time considerably. John Bickar wrote: I read the whole thread, it was painful. ...If there were electronic targets is would be a different sport that would shorten the match. There is a match director in Wisconsin that allows shooters to sign up for just 1 900, and .22s can be fired during ANY 900 even if the shooters that are shooting the entire 2700 are shooting CF or .45. For the people who would want to shoot for a couple hours, that would work for them. Everybody but 1 shot the whole 2700. I still attest that the lower participation has to do with the wider variety of recreational activities and incompatible work schedules that weren't a problem for our sport in the 50s and 60s. There are fewer matches, fewer places to hold matches, and fewer people who know about the matches. Denny already assured us that the NRA website will be fixed. That will help people know about the matches. When match directors start having to tell scores of people that the matches are full, that will lead to more matches. Might be worthwhile to submit scores and winners to local newspapers. 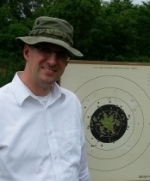 Ours publishes weekly trap shooting scores. ChipEck wrote: Might be worthwhile to submit scores and winners to local newspapers. Ours publishes weekly trap shooting scores. This is an excellent point. I almost tripled the size of my junior rifle team this year mainly because of postings in the local new paper. I'd also add that match and league directors should advertise the matches, clinics and leagues that they run in the local news. As a retired engineer, with a fair amount of field experience, I just can't trust that electronic targets are going to be reliable at the Nationals. You're in the middle if a BIG field, always windy, sometimes muddy, usually with rain sometime during the week. Two or three years ago, the field I was on had a failure of the loudspeakers. Just this past Sunday, at the Denver NFL game, the on-field clocks went out. At last year's Superbowl, half the power to the stadium went out. These are indoor, well protected systems. What happens if a target or even an entire relay is shot, then a glitch loses the data? If they can't maintain the current low-tech system, how can we expect to maintain a high-tech? As far as cost to the competitors, the entry fees are a small part for many of us. The big costs for the event for me are travel (gas plus motels or plane), and lodging (I just can't do the hut thing and the only other available options are motels- the other on-base lodgings get booked up too fast or are unavailable). I think the best option is to replicate , maybe with some updates, the current mechanical system. I read this whole thread, and like some other shooters commented, it was painful. Many of the discussions/opinions aren’t grounded in fact. To make a really educated decision that we can all feel comfortable with, we all need more information. Camp Perry is a government installation. Consequently, the NRA is limited in what they can do. “No permanent changes…” is what I think I read from one poster. So, we need to know what is possible, and what is not possible within those restrictions. I see the advantages and disadvantages of both sides of the argument for and against electronic targets. The National Matches is a World Class event, and the facilities should reflect that. I really liked the comment “If we can’t maintain the low-tech equipment, how can we hope to maintain the high-tech stuff”. I personally feel that the current “system” should be modernized/updated, but not replaced with a system that changes the fabric of the sport entirely. Electronic targets are proven but only within their established environments. Is there any other range that uses them that puts the kind of demands on them that we would at Camp Perry (setting up, tearing down, moving, storing, weather exposure, etc…)? The money spent on fielding that technology (that may or may not be reliable enough), would be better spent on drainage, and paved or gravel walkways to/from and in front of the targets. GrumpyOldMan wrote that “Scoring IS the big time-killer though”. Perhaps, but I can tell you for sure scoring last year would have been a hell of a lot faster if we didn’t have to navigate through 25-50 yards of boot sucking, ankle deep mud to get to the targets. On most days the mud was so deep at the targets that I could not reach high enough to put the elastic on top, and required block officer assistance (also adding time). I don’t want to beat up the NRA here. I just want to make sure the decisions that are made weigh all the facts, are fiscally sound, and make the most sense for the health of our sport. There is no room here for speculation. I don't believe the time excuse. Has anyone played a round of golf lately. Your lucky if it's over in 4 hours. I think it's more about being lazy. Most people want to do something that is easy and not feel disappointment. They don't want to spend the time to make themselves better, they want success now. I entered the national matches on line in late March. The entry form said a hard copy of the match results must be requested- but I couldn't find anywhere to do that. Emails bounced back. I called over a week ago and still haven't received an answer. Can you help? So, Are the tagets going to be electronic or turning? TIMO...They will be the same as they have been only hopefully fixed up some and capable of working thru the whole matches, things move too slow for a undertaking like a complete switch to electronic, that would take years to get approved and implement THIS IS JUST MY OPINION we will have to wait to see if im correct. Could the NRA Shooting Director give us an update on Housing at Perry this year? Huts, barracks, any other options? DavidR wrote: TIMO...They will be the same as they have been only hopefully fixed up some and capable of working thru the whole matches, things move too slow for a undertaking like a complete switch to electronic, that would take years to get approved and implement THIS IS JUST MY OPINION we will have to wait to see if im correct. You can have it good, cheap, or fast, pick any two. They have torn down most of the huts. Fifty left they say, and they were booked up the first day. You can call the office and ask about cancellations. Might have some this week.